Shows 3 malpractice cases on file with Suffolk Superior Court. Malpractice lawsuit against defendants including Robert L. Barbieri, MD. Lawsuit filed against Robert Barbieri and defendants, with $180,000 malpractice claim. Child suffered permanent arm injury. 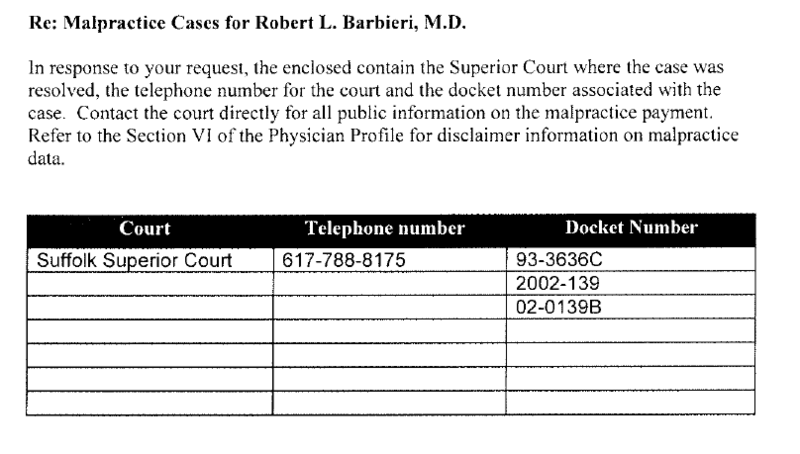 Malpractice lawsuit against Robert Barbieri and other defendants. Negligent delivery of infant caused permanent arm injury. See pages 2-3, and 5-6. Case docket for malpractice lawsuit. Defendants include Robert Barbieri, MD. See page 2. Searchable document. Robert Barbieri is a defendant in this malpractice case; baby was injured during delivery. Corporate annual report. 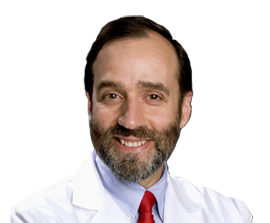 President is Robert L. Barbieri, MD.